Former Hospitality students Bohdan Slipakiv and Sam Owen are climbing the career ladder at Twr y Felin Hotel. Both Chefs are set for a guest appearance on February 21stat the Academy Restaurant in Pembrokeshire College to inspire others in the culinary world. The talented chefs have recently been promoted to Head Chef and Sous Chef at the exquisite venue located in St Davids. Sam obtained his NVQ Levels 1/2 and 3 at Pembrokeshire College before pursuing a career within the hospitality industry. Bohdan, Sous Chef at the award-winning hotel also expressed how important it is to obtain a breadth of work experience and knowledge when looking to work within elite style restaurants. “You are always learning and developing new skills and ideas in this industry. Hours can be long and deadlines can be tight but this makes it all worthwhile when you see your creative work come together. Planning is paramount in this industry as we are constantly working on developing tastier menus and incorporating the latest flavours and trends,” said Bohdan. Since leaving their college studies both chefs have gained experience working at many different high-class restaurants and have also been fortunate to design menus and entertain VIPs right in the heart of Pembrokeshire. 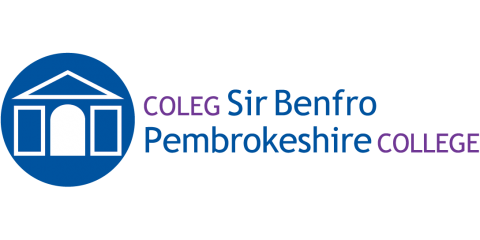 Pembrokeshire College are looking forward to welcoming these young and inspiring chefs for an evening of fine dining at the end of the month.